Moyes. Martinez. Koeman. Unsworth. Allardyce. All the managers I have seen manage Everton in my lifetime. I won’t include Walter Smith, as I was about two when he was in the Goodison dugout. All of these, have one thing in common. You guessed it. They flopped and bottled it against the alleged top six away from home, parking the bus or in Martinez’s case staying on the bus and overseeing an Everton capitulation, drowned with promises of better and throw away rhetoric. Marco Silva is different. In his opening two games against top six opposition away from home, Silva has opted for an attacking style that has forced both UnaiEmery and Jose Mourinho to sit back in periods of the game and try and weather the Everton storm. No, Everton haven’t collected a single point against either opponent, but there is strong argument to suggest Everton should have garnered at least a point in both games, with naive finishing and what can I say, embarrassing referring decisions letting Everton down in both occasions. 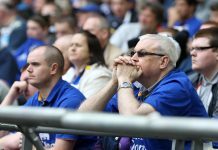 Everton travelled to Stamford Bridge last weekend and the odds were certainly stacked in Chelsea’s favour due to the superb start Maurizio Sarri has had at Chelsea. But that did not stop Marco Silva continuing with his go to game plan. When at Watford, Silva once said that, “Why should I change my game plan and the way I play just because of the opponent?” Silva is right. However what we saw against Chelsea on Sunday, was primarily a great flexibility in tactics but secondly a great pragmatism to how Everton set up. 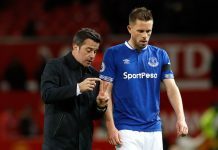 Sure Everton began the game as free flowing as ever, with Theo Walcott, Bernard and Gylfi Sigurdsson pressing high up the field to press Chelsea and their ‘Sarrismo’ back. However as the game progressed what you saw from Silva’s Everton was pleasing for a lot of fans. As soon as Silva recognised that there was an opportunity to claim a valuable point away from home at Stamford Bridge, Silva, organised Everton into a ‘mid block’ were there still was pressing prevalent, but Everton elected to block Chelsea’s ‘Sarrismo’ with almost a 4-4-2. 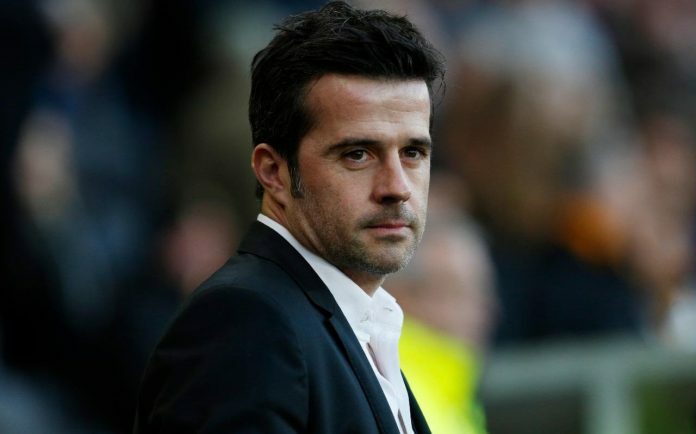 In the past, a Marco Silva team may have lost that game due to poor conversion and defensive mishaps (not to mention the countless poor refereeing decisions that would have gone against him,) but Marco Silva’s great pragmatism Sunday got him the result. If you analyse the strikers Silva has had to work with at them clubs you’d see journeymen footballers, with poor finishing thusly costing Silva’s side points in each occasion. At Everton, the calibre of footballer is infinitely higher to that he had at Watford and certainly Hull. Therefore it’s likely that Silva’s bold and ambitious style against these teams will bear fruit one day with better players. Silva went into Chelsea with a clear and distinct game plan. He went with the full intention of winning the game, as opposed to scrambling together eleven defenders like Allardyce to claim whatever he could be hook or by crook. 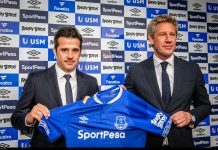 Instant reward against these sides may not come so early into Silva’s time at the club, but be in no doubt thatEverton are on the rise under their new manager.